Donald Trump's firing of FBI Director James Comey caught Washington by complete surprise. No-one - in Congress, in conservative circles, even in the FBI itself - seemingly had an inkling of what was in store. As politicians and pundits survey the fallout, here are a few of the big questions they are likely to contemplate. The abruptness and timing of Mr Comey's dismissal, to put it mildly, is highly suspicious. Just over a week ago, the FBI director talked about his agency's investigation into Russian meddling in the US presidential election - and possible Russian ties to the Trump campaign - before a Senate committee. He was scheduled to appear before Congress again to discuss "worldwide threats" on Thursday. Mr Trump has been tweeting almost non-stop about how the allegations are a "hoax" and the investigations are a "taxpayer funded charade". Now the man overseeing that investigation has been shown the door - by Mr Trump himself. Media captionUS Senate Democratic leader Chuck Schumer: "Mr President, with all due respect, you're making a big mistake"
While the White House has said that the move is based on concerns over how Mr Comey handled last year's investigation into Hillary Clinton's email server, not many people - particularly Democrats - are buying that line. They may recall last year, just a few days before election day, how Mr Trump praised Mr Comey for his handling of the email inquiry. 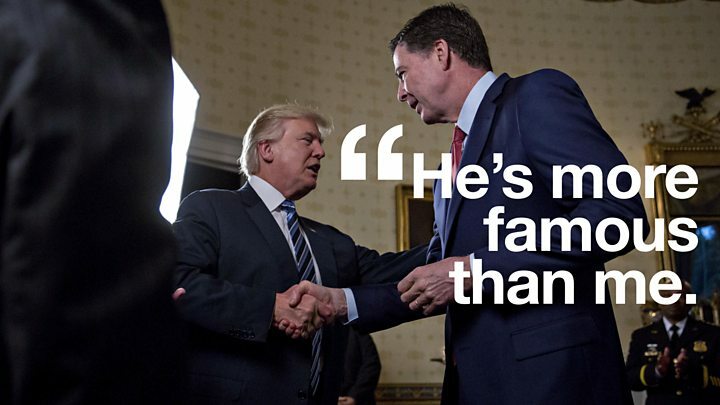 "It took guts for Director Comey to make the move that he made in light of the kind of opposition he had where they're trying to protect her from criminal prosecution," Mr Trump said at a campaign rally. "It took a lot of guts." Mr Trump, it seems, has soured on the FBI director - and, according to the New York Times, had been seeking a reason to fire him for more than a week. If the dismissal was because of the email investigation, why act now? How the Trump White House answers that question will go a long way toward determining whether the cover-up allegations die down over time. Did Comey bring this on himself? Shortly before Chuck Schumer held his hastily called press conference to say that the Comey firing necessitated an independent investigation into Mr Trump's Russia ties, the White House began circulating an old quote from the Democratic Senate minority leader criticising the FBI director for his handling of the Clinton investigation. "I do not have confidence in him any longer," Mr Schumer said last November. Plenty of the same Democrats who are now howling over Mr Comey's dismissal have had similarly harsh words - which are sure to be pointed to by Mr Trump's supporters. In his letter laying out the case for Mr Comey's dismissal, Deputy Attorney General Rod Rosenstein said that the FBI director's "serious mistakes" in the Clinton case were "one of the few issue that unites people of diverse perspectives". 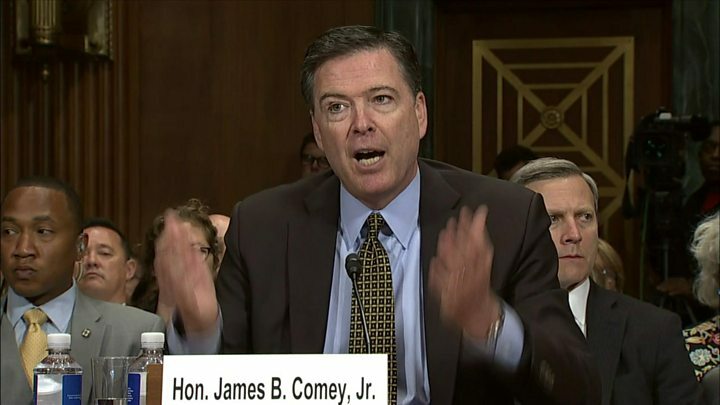 Indeed Mr Comey did break with precedent in his July 2016 news conference announcing that the FBI would not recommend charges against Mrs Clinton despite her being "extremely careless" with classified material. He did so again in sending a letter updating Congress on politically charged developments of the investigation just over a week from election day. Over the course of 2016, Mr Comey managed to anger Democrats with his initial handling of the Clinton investigation, Republicans with his subsequent resolution of the case and then Democrats again for his election eve actions. Then there's the matter of how he has conducted the Trump-Russia investigation so far - keeping it from the public during the election season, much to Democrats' consternation, and now angering the Trump team with its open-ended nature. Make enough enemies in Washington, and your career lifespan can shrink to that of a mayfly. A generous view would say that Mr Comey navigated treacherous waters as best he could in an era where political disputes are increasingly criminalised. Another take is that he sank in a ship that he himself had riddled with holes. Will there be a special investigation? 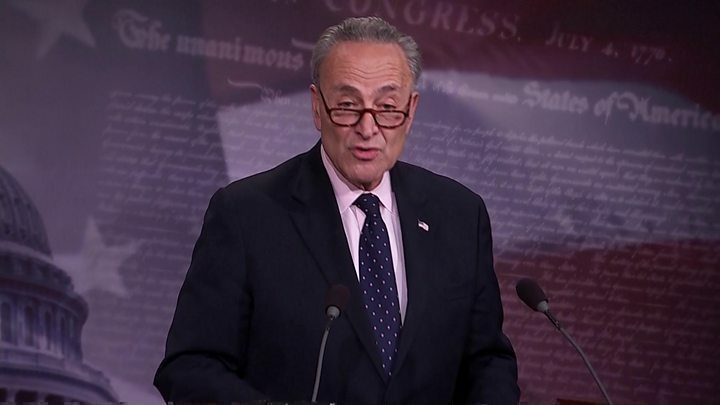 Mr Schumer has called for an independent investigation into Russian interference in the US presidential election and any connections to the Trump campaign. And as the hours go by, it's increasingly difficult to find a Democrat who hasn't issued a sternly worded statement with similar sentiment. For such an inquiry to get off the ground, however, the calls will have to come from Republicans as well as Democrats. So far, however, the big guns in the Republican Party have stayed silent. Image caption Will Republicans still have the president's back? Chuck Grassley, chair of the Senate Judiciary Committee, said Mr Comey had lost the public's trust. Senator Lindsey Graham, who earlier on Tuesday had suggested Mr Trump's Russia business ties should be investigated, said a "fresh start" will serve the nation well. Others have been a bit sharper. Senator Richard Burr, chair on the intelligence committee investigating Russia election meddling, said he was "troubled" by the move, while Senator John McCain called for an independent congressional investigation. Only longtime Trump critic Justin Amash, a congressman from Michigan, has said he's contemplating legislation authorising an independent commission to look into the matter. Special prosecutors and independent inquiries are likely the last thing the Trump White House wants at this point. In the past, such free-ranging probes have expanded and enveloped administrations, ranging from George W Bush (over revelations of the identity of a clandestine CIA operative whose husband was critical of the Iraq War) to Bill Clinton (in which a real estate investigation morphed into the Monica Lewinsky impeachment case). The president may not have a choice, of course - but only if Republicans break ranks in a manner they have shown no interest in doing as of yet. Didn't Jeff Sessions promise to step back from the Russia investigation? While it's not the biggest question hanging over the Comey firing, it may come to be one of the more interesting ones. Back in early March, Attorney General Jeff Sessions announced he was recusing himself from involvement in the FBI investigation into possible Russia-Trump ties. His move came after questions about why he had neglected to tell his confirmation committee he had met Russian Ambassador Sergey Kislyak while serving as an adviser to the Trump campaign. Now the attorney general, on the advice of his deputy, has issued a letter to President Trump recommending the dismissal of the head of the FBI. According to the New York Times, Mr Sessions had been asked by the president more than a week ago to establish grounds for sacking Mr Comey. Of course, there's nothing binding about such a promise of recusal. Any price Mr Sessions would pay, if this is indeed constitutes a violation, would be political. To that end, Democrats - including Senator Kirsten Gillibrand of New York - will do their best to make the Trump administration feel the squeeze. "AG Sessions lied under oath about meetings with Kislyak," she tweeted. "One way to exert control after recusal is by getting rid of FBI director. Chilling." Of all the questions this will likely be the most consequential. The identity of the person Mr Trump picks as the next FBI director will go a long way toward framing the perceptions of Mr Comey's dismissal. If he chooses someone of a questionable background - a loyal subordinate or political acolyte - then the answer to that first cover-up question will tilt toward "Yes". Names of outspoken campaign surrogates like former New York Mayor Rudy Giuliani and New Jersey Governor Chris Christie fall into this category. If Mr Trump opts for a career law enforcement or judicial official - someone known and respected in Washington circles - or a Democrat, it will go a long way towards quelling the current political uproar. When President Bill Clinton fired FBI Director William Sessions early in his presidency, for instance, he chose Louis Freeh - a Republican-appointed federal judge - as his replacement. Mr Clinton had carefully planned out the move, knowing that sacking an FBI director mid-term - even one mired in an ethics controversy, as Sessions was - would be controversial. He already had settled on Mr Freeh as his choice before announcing the firing, and quickly moved to line up support for his confirmation. Time will tell, but at this point there is little indication that the Trump White House has engaged in such levels of planning.